Kiyomi (Mami Yamasaki) arrives in a small town from the city. There, by chance, she meets an elderly woman named Kinu (Koko Mori) and a guy named Masaru (Kazuki Namioka), who, Kinu views as a grandchild. Kiyomi begins to live with them. 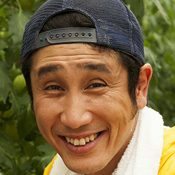 Meanwhile, in the small town, Shinji (Mondo Yamagishi) raises cattle and Tatsuya (Kiyohiko Shibukawa) farms tomatoes. Shinji and Tatsuya are both excited by Kiyomi. Masaru also happens to see her in underclothes and becomes infatuated with her. One day, the elderly woman Kinu collapses. The once peaceful town becomes shaken.